In their first television interview, Harry and Mary Schaab of Greensburg speak about losing both of their children to gun violence. Their son Michael was killed in the March 2012 Western Psych shooting, 17 months after their daughter Nancy was shot and killed by her boyfriend. Gun Violence: The Victims aired on Apr 15, 2013. It's the most viewed non-commercial site with over a million hits a week. Every Sunday, people send in their secrets on a creative postcard and have them posted on the called PostSecret. 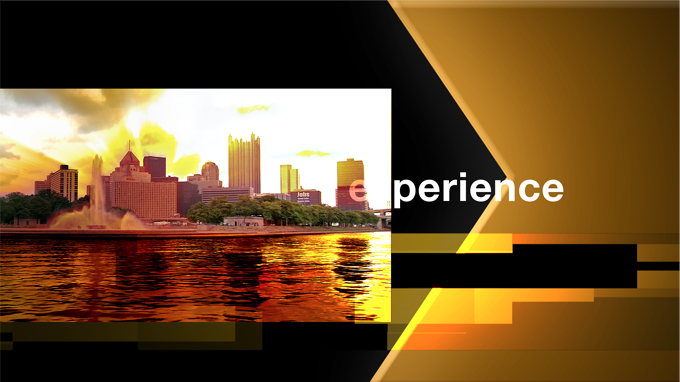 What has made the website even more popular are the videos that are posted, videos that are created in Pittsburgh. We take you on the road to meet the creator of PostSecret as well as some local people who have made PostSecret so popular. Rick Sebak is a Pittsburgh treasure whose award-winning documentaries have entertained and educated local and national viewers for 25 years. As he celebrates this anniversary at WQED, we look back at Rick's memorable programs and hear about the stories behind them. Rick talks about his inspiration as a filmmaker, while colleagues and fans share their thoughts on Rick's appealing and timeless body of work. Travel with the world-renowned Duquesne University Tamburitzans - on the road and behind-the-scenes. The "Tammies" have delighted audiences for over 75 years as they perform, preserve and perpetuate the cultural heritages of Eastern Europe and its neighbors. WQED explores the legacy of the country's longest-running live stage show, and one of Pittsburgh's cultural gems. Rose Clancy plants gardens in urban areas that could use green space. Her work brings beauty to the neighborhoods, but it also brings healing to Rose. She was raised by a mother who suffered from mental illness, and now Rose's gardens are helping her cope with memories of a troubled childhood, while raising awareness of an issue that impacts millions. This documentary focuses on how mental illness affects not only the person with the illness, but everyone in the family. The Mommy Blogosphere was abuzz when Time magazine asked "Are you Mom Enough?" That question was accompanied by a provocative cover photo of a mother breast feeding her three year old toddler.